Unitarian Universalism is a liberal religious tradition that was formed in 1961 from the consolidation of two religions: Unitarianism and Universalism. These two faiths had their roots in the Protestant Reformation and were present in the early days of the United States. 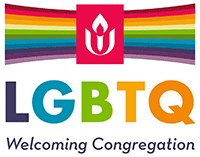 The Universalist Church of America was founded in 1793, and the American Unitarian Association in 1825.UUCBG is a member of the Unitarian Universalist Association of Congregations (UUA) and is part of the MidAmerica Region. Here at UU Bowling Green, we are a liberal religious community. We encourage you to seek your own spiritual path. Our church is a place where people gather to nurture their spirits and put their faith into action. We help to make our communities—and the world—a better place.If you are searching for a loving, spiritual home that is guided not by a set creed or dogma but by an open-minded quest for truth and meaning, welcome to Unitarian Universalism!